In 1988, John Bennis was convicted of indecency in the state of Michigan for engaging with a prostitute in his car. He was fined a mere $250 for the incident, but his car was seized through a civil court order under a public nuisance claim. Bennis’s wife, Tina Bennis, was also a legal owner of the vehicle, but despite her shared interest in the car, the state denied her rights as partial owner. In 1994, the Michigan Supreme Court ruled against Tina Bennis in a suit where she alleged violation of her property rights and basic right to due process. The United States Supreme Court affirmed the Michigan Supreme Court ruling, thus creating questionable precedent for future civil asset forfeiture cases. The significance of the 1996 Bennis v. Michigan case, Bennis v. Michigan, 517 U.S. 1163 (1996), is particularly impactful because it established justification for the forfeiture of an innocent owner’s property without violation of neither the Fifth Amendment’s takings clause nor the due process clause of the 14th Amendment – both of which address federal and state actions, respectively. Civil asset forfeiture is a method that works outside the criminal legal process to transfer ownership of property from citizens to the state. What is specifically interesting is the nature of this legal process that personifies property through legal fiction. Civil asset forfeiture is an in rem action brought against the property itself which stands as the defendant in a court proceeding. 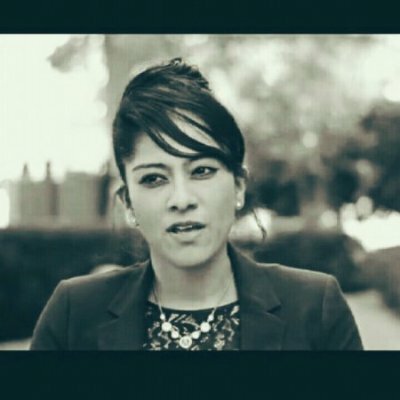 Law enforcement is, therefore, able to easily acquire assets through civil forfeiture since a criminal charge against a person or conviction of a person is not necessary. Apart from its tie to Bennis, Michigan also stands out for having one of the worst civil forfeiture laws in the country. Although the owner of property has a 28-day window of time to contest forfeiture of property in writing and file a claim before ownership transfers to the state, many civil forfeiture cases never make it to court. FreedomWorks is keenly aware of the state of civil asset forfeiture affairs in Michigan and has addressed the issue several times in the recent past. The latest polling data acquired from a pool of 500 registered voters in Michigan on September 7-9, 2015, demonstrates an overwhelming desire for civil asset forfeiture law reform within Michigan. It is evident that citizens become more opposed to civil forfeiture laws after learning about the practice altogether. The support for reform transcends political party affiliation with 89% of registered Republicans and 91% of Democrats supporting reform. 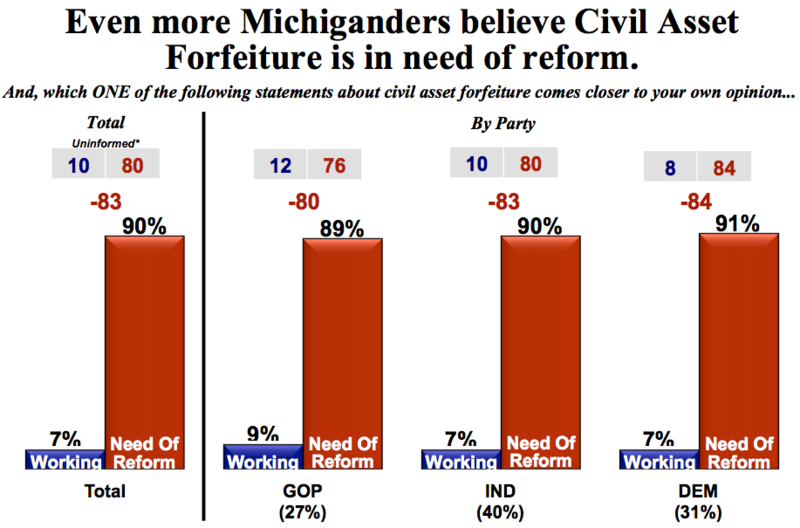 Overall, 90% of Michigan citizens believe reform is necessary. Additionally, 51% of voters say they would be more likely to vote for legislators who are willing to reform current laws. Presently, there are seven bills that aim to reform civil asset forfeiture in Michigan which have passed the House and Senate Judiciary Committee. Two bills within this package - HB 4499 and HB 4505 - both of which heighten the evidentiary standards the government must meet to subject seized property to forfeiture, need to go back to the House to address amendments made by the Senate. Laws fostering transparency will assist the relationship between law enforcement and citizens. While civil asset forfeiture laws can be a useful tool for law enforcement, making sure such authority is targeting the right crowd in the fairest way will meet the same goals while keeping the public and their rights safe.